The Stressless Joy is a comfortable sofa with clean lines and fitted cushions, boosted with round and feminine shapes. The Stressless Joy is part of the Stressless Lounge series, which is a range of modular sofas inspired by Scandinavian design. 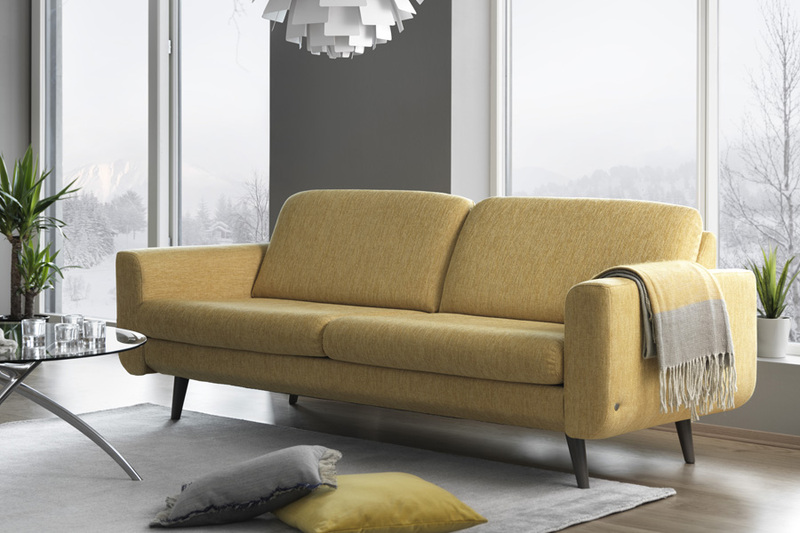 The models in this series have a clean and classic look, with a slim frame, fitted cushions and elegant legs. 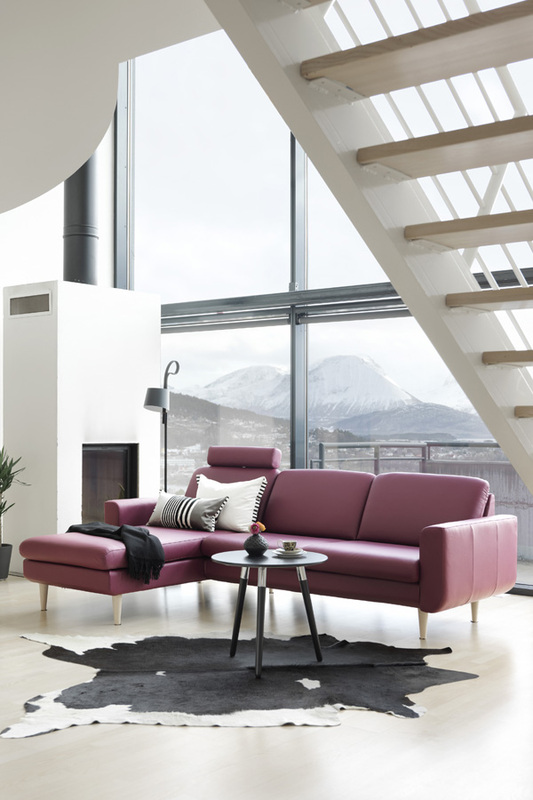 The modular system makes it easy to build the desired shape and size of the sofa, and you can choose from Ekornes' wide range of covers and colours. Stressless armchairs come in the same covers and colours, making it easy to combine the sofa with the matching armchair. The modules you can put together are 2-seaters, 2.5 seaters, 3-seaters Duo (2 cushions), 3-seater Trio (3 cushions), corner and Longseat. You can also fit a neck rest, if you want extra height in the back. It is height-adjustable and is easy to fit on any of the seating areas. The model is available in all Stressless® leathers and fabrics. You can also choose between high or low steel legs and straight or curved wooden legs in all the Stressless beige colours.